This is going to be the shortest blog entry ever, but may I please quickly brag on my little sister? 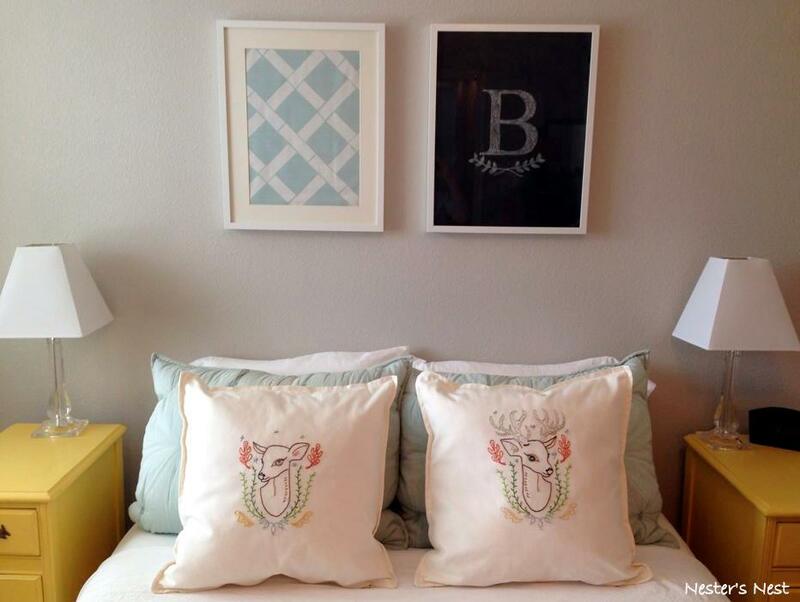 She recently embroidered these stunning pillows for her guest room. Amazing, aren’t they? The fun art over her bed is also DIY. My sister’s house is ridiculously cute and I’ve already told her she needs to take photos of her home so I can share her talent with all of you. As a matter of fact, I need to harass my older sister into sending me photos of her house, as well. I’ll just make it a family affair. Speaking of sister love, I probably should have been nicer to my little sister when we were growing up. Maybe then she would have given me these pillows instead of selfishly keeping them for herself? Sheesh! Just kidding, C. You know I love you! Those are so cute! Did she use a pattern? Thank you! I admit, I’m jealous of my sister’s talent. Yes, I do know she used a pattern, but I’m not sure where she found it. Possibly Etsy?